“Our Vision: Youth around the world actively engaged and connected in shaping a more inclusive, peaceful and sustainable world. Impressive. It makes you think and wonder, what did I do for meaningful things with my life. On top of that he gave us a great keynote. With insights and also a lot of great practical examples and apps. 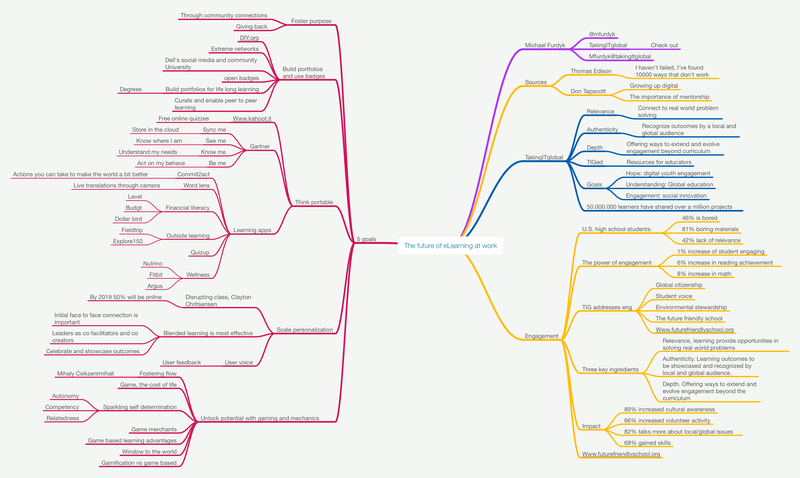 He shared his presentation through learning exchange, If you are not a member, here is my mind map.